Madrasi is your city guide to Chennai in India. From automobiles to education, from latest cars to travel, you will find it here. Look up the Chennai city portal with a difference! If you are looking for educational opportunities in Chennai or even abroad, Madrasi is your reliable guide. From engineering and medical colleges in Tamil Nadu to admission procedures to various foreign universities, we keep you updated and informed! Anglia Ruskin University, formerly known as Anglia Polytechnic University, is a university in the United Kingdom, with campuses in Cambridge and Chelmsford. There are five Faculties of study at Anglia Ruskin University, each led by a Dean. These are: Faculty of Arts, Law and Social Sciences, Ashcroft International Business School, Faculty of Education, Institute of Health and Social Care and Faculty of Science and Technology. Faculties are sub-divided into departments or divisions. Aston University is a university whose campus is situated at Gosta Green in the city centre of Birmingham. The University offers various Under graduate, Post Graduate and Research Programs through its Business School, School for Engineering and Applied Science and various other schools. Bournemouth University is a university in and around the town of Bournemouth. It has several very well respected departments including the School of Services Management and Bournemouth Media School the only Centre for Excellence in Media Practice. The University has a variety of specialist research groups including The Market Research Group. Brunel University is one of the new British universities, having been founded within the last half century. The number of courses that Brunel University was able to offer - traditionally the strengths of the College / University had been engineering, science, technology and social sciences. With the addition of the West London Institute, departments such as arts, humanities, geography, earth science, health and sports science are available to the students. Cardiff University is recognised in independent government assessments as one of Britain's leading teaching and research universities. The University has partnership with multinational corporations such as Sony and IBM. Cranfield University is a UK University based on three campuses at Cranfield, Silsoe and Shrivenham. It is principally an institution for postgraduate study. Cranfield University has currently five academic schools namely School of Engineering, School of Applied Sciences, Cranfield School of Management, Cranfield University at Shrivenham and Cranfield Health. City University is a British university, based at Northampton Square in Clerkenwell, London, England. It has almost 11,500 students from 153 countries who benefit from the University's internationally renowned experience of more than one hundred years' of teaching and learning. University has a good academic reputation, doing well in national league tables. The physics department has a global reputation for its research in low temperature physics and currently holds the record for the lowest maintainable temperature ever reached. Typical offers in most subjects are around ABB at A-level. Leeds Metropolitan University is a university with campuses in Leeds and Harrogate, Yorkshire. The university have two contrasting learning environments in Leeds, the traditional setting of one campus in the world famous sporting area of Headingley and one intertwined with the business, health, civic and entertainment quarters of Leeds. The University is located primarily in the city of Lincoln but also has campuses in Riseholme, Holbeach and Hull, plus a small research centre in Mansfield. There are currently five faculties of study such as Technology, Art Architecture and Design, Business and Law, Health Life and Social Sciences, Media and Humanities and the International Institute for Education Leadership. LJMU has been awarded significantly more research funding than many of the new universities and this is due to the our strong Research Assessment Exercise ratings. LJMU has a number of areas, located throughout the University, where world class research is being undertaken. London Metropolitan University is a university in London with around 33,000 students. It was formed in August 2002 by the amalgamation of London Guildhall University and the University of North London. Prior to the merger both institutions had long histories of providing vocational education in the City and north and east London, both as previous Polytechnics. Loughborough University is a University located in the market town of Loughborough, Leicestershire in the East Midlands region of the United Kingdom. The University has 24 academic departments and over 30 research institutes, divided between three faculties: Science, Engineering and Social Science and Humanities. Huron University USA in London, also referred to as Huron University, is a private university located on Russell Square, Bloomsbury, London. The school offers American-style higher education. The university has over 300 students from 50 countries and offers a range of undergraduate and graduate programs in Central London. Keele University is a research-intensive campus university located near Newcastle-under-Lyme in Staffordshire in the West Midlands of England between Manchester and Birmingham. Departments in Keele are organised into three faculties namely Faculty of Humanities and Social Sciences, Faculty of Natural Sciences and Faculty of Health. Kingston University is a university in the Royal Borough of Kingston upon Thames, south-west London. The university has its campuses in the Penrhyn Road, Kingston Hill, Knights Park, Roehampton Vale and other locations in Millennium House in Kingston town centre and River House by the River Thames. The University now has over 21,000 full-time and 10,000 part-time students as of 2005, and hundreds of courses in over 70 subjects. It maintains five campuses in Manchester, as well as two in Crewe and Alsager in Cheshire. It includes the following faculties Faculty of Art and Design, Faculty of Food Clothing and Hospitality Management, Faculty of Health Social Care and Education, Faculty of Humanities Law and Social Science, Faculty of Science and Engineering, Manchester Metropolitan University Business School and MMU Cheshire. The University is spread across 5 sites in Tottenham, Hendon, Enfield, Cat Hill and Trent Park. The University has another campus located in Dubai. All campuses are located in North London.Each campus has a quite distinct character and some of the campuses are important architecturally, especially Trent Park. Northumbria University is located in Newcastle upon Tyne in North East England. The University also actively seeks collaborations and partnerships with reputable educational institutions throughout the world. Napier University is a university in Edinburgh, Scotland. Napier University Business School is comprised of the Schools of: Marketing and Tourism, Accounting and Economics, the Centre for Entrepreneurship, and Law. The Faculty of Engineering and Computing is comprised of the Schools of: the Built Environment, Computing, Engineering, and the Creative Industries. The Nottingham Trent University is split into three campuses as The City Campus, located to the North of Nottingham City Centre, Clifton Campus, located in Clifton on the edge of Nottingham - Biomedical and physical sciences, School of Education, School of Communication and Culture (languages, social science and media courses), and the School of Computing. Brackenhurst Campus - has its own dairy farm and licensed bar, and is situated near Southwell. The majority of students are based in the UK, but its courses are also studied in the rest of Europe, in Africa and the Far East. The administration is based at Walton Hall, Milton Keynes in Buckinghamshire, but has offices in each of its thirteen regions around the UK. The university awards undergraduate and postgraduate degrees, diplomas and certificates. The University of Oxford, located in the city of Oxford, England, is the oldest university in the English-speaking world. Oxford has had a role in educating four British, and at least eight foreign, kings, 47 Nobel prize-winners, three Fields medallists, 25 British Prime Ministers, 28 foreign presidents and prime ministers, 7 Saints, 86 Archbishops, 18 Cardinals, and one Pope. London South Bank University is a central London university with around 20,000 students and 1,700 staff in the London Borough of Southwark. The university has faculties in health and social care, business and computing, arts and humanities and engineering and built environment. Staffordshire University is a university based in the city of Stoke-on-Trent, and also in Stafford and Lichfield. Staffordshire University's Aerospace and Aeronautics research lab was, alongside both Birmingham and Manchester Universities, an official joint entry into the Ansari X prize. The University of Sussex is an English campus university located near the East Sussex. Sussex is a leading research university, all subjects at Sussex were rated as either grade 4 or 5, recognising research of national and international standard respectively. Sussex has counted two Nobel Prize winners, 12 Fellows of the Royal Society, six fellows of the British Academy and a winner of the prestigious Crafoord Prize in its faculty. Thames Valley University is a British university based on campuses in Ealing, Slough and Reading, all in the Thames Valley west of London. 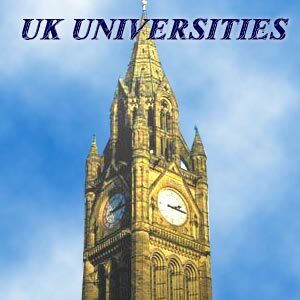 This University is one of the largest Universities in UK with over 44,000 students from over 117 countries. The University of Aberdeen is one of the ancient universities of Scotland. The university has more than 630 different first degree programmes and more than 90 postgraduate taught programmes. The University's major academic strengths are the physical sciences, mathematics, engineering and technology. Today, the University is becoming increasingly strong in management, humanities and social sciences. Bath has 14 subjects rated 'excellent' (the highest on the scale). These are: Business and Management (AMBA accredited); Architecture and Civil Engineering; Economics; Mechanical Engineering (IMechE accredited); Mathematics, Statistics and Operational research; Education; Molecular Biosciences; Biosciences; Pharmacology and Pharmacy; Physics and Astronomy; Politics; Hospitality, Leisure, Recreation, Sport and Tourism; Social Policy and Administration. E-mail: The University of Bedfordshire is the name of the university created by the merger of De Montfort University in Bedford and the University of Luton. The University of Bedfordshire is the largest provider of undergraduate and postgraduate education in Bedfordshire. The University of Bedfordshire works together with a number of partner institutions to offer a wide range of courses. The university is one of the most popular university in the UK - in terms of number of applications per place - with courses such as law, medicine, English and American Studies, in particular, being heavily oversubscribed. The University of Bradford is a university in Bradford, West Yorkshire. The University of Bradford comprises eight Schools namely The School of Archaeological, Geographical and Environmental Sciences, The School of Engineering, Design and Technology, The School of Health Studies, The School of Informatics, The School of Lifelong Education and Development, The School of Life Sciences and The School of Management. The University of Brighton is a multi-site university based in the city of Brighton and Hove (England). Brighton and Sussex Medical School (BSMS) is a partnership between the University of Brighton and the University of Sussex. BSMS benefits from the universities' distinctive traditions and shared strengths in biomedical sciences, healthcare and professional education. Bristol awards a range of academic degrees spanning bachelor's and master's degrees as well as junior doctorates and higher doctorates. The postnominals awarded are the degree abbreviations used commonly among British universities. The University is part of the Engineering Doctorate scheme, and awards the Eng.D. in engineering management and aerospace engineering. The University was created as a liberal arts college, and the major humanities subjects such as history and politics are offered with economics as a degree in International Studies'. The University's largest school is law, followed by business studies and accounting. Some science departments such as biology are heavily focussed on research and offer only research degrees, others such as psychology and computer and information sciences offer the full range of degrees.